Joel Osteen is not your enemy. This is for those Christians who ordain themselves “fruit inspectors” or consider themselves God’s “Holy Ghost police force.” It is not just about Joel Osteen. So many other ministers have been publicly raked across the coals for one reason or the other by Christians who consider themselves obligated, or feel it is their purpose, to expose and malign those Christians they do not agree with. 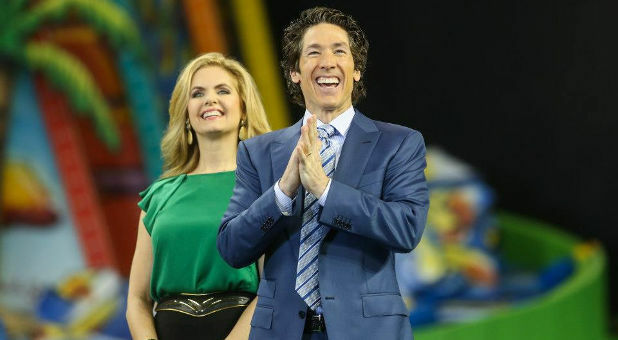 Let me start by saying I do not watch or listen to Joel Osteen. I have listened to him in the past but never on a regular basis. I am not an expert on Joel Osteen or his ministry, but neither are those who are so eager to bash him. I have done enough research to know that most of the stories circulating on the internet concerning him are either taken out of context or just false. Again, this journey is deeper than Joel Osteen. It is about the self-righteous piety on display by Christians publicly beating their chests like ancient Pharisees. Some Christians today are like vicious attack dogs. They are so eager to scream about supposed, and actual, short comings of any minister. If a minister commits an atrocity, lies, or spreads false doctrine; God will deal with them. Their public presence will ultimately fail. As Biblically based Christians we do not condone false doctrine; nor do we promote or defend it. If you do not like Osteen or any other minister’s message, do not listen to it. Find someone who you feel is well balanced and speaks the whole of the Gospel. Remember that you are not the Holy Ghost Police – stop eating your own and remember Joel Osteen is not your enemy. Satan is our enemy and he would love nothing more than the church to tear itself apart from the inside out. Next time you are inclined to share the latest attack article or status, try praying for that person. It may just work out to be the best for you, and them.